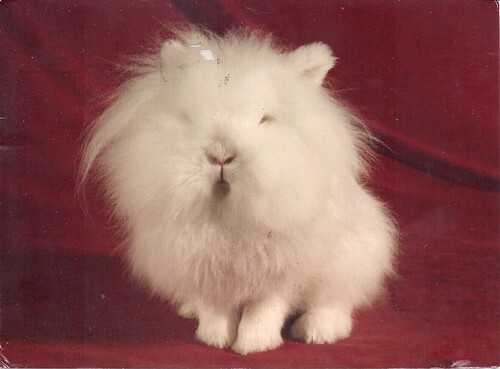 Named after it's lion-like mane, the Lionhead, one of the newest recognized breeds, has taken the show and pet world by storm on both sides of the Atlantic. It's believed to have originated in Belgium from a Swiss Fox crossed with a Belgian Dwarf. Love this card, someday I'd like to have a sweet bunny!